Investigators arrested several alleged members of the violent drug gang, Ghost Face Gangsters, along with a grandmother they say played a key role in the case. Apparently not alot of people have warmed up to the created for TV show character Fish Mooney, played by the beautiful Jada Pinkett Smith. Some have written that she is out of place, and not in a usual position of mob boss for a person of her gender and race. Others have said that she is over the top, which is hilarious when we are talking about a villain who lives in the same city as Joker, Penguin, Riddler, & Killer Croc & Clayface. Maybe they would have been more comfortable if she was playing a maid, cook, or prostitute, or drug addict. 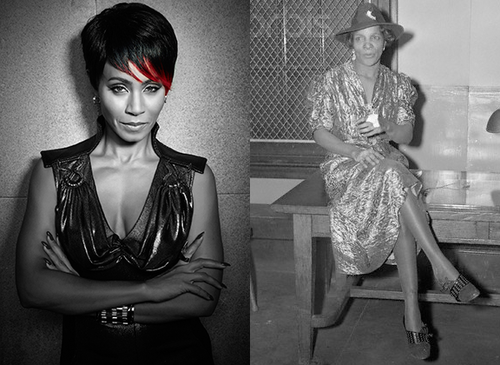 So here is a history lesson for all of the people who are having a hard time taking Fish Mooney seriously. 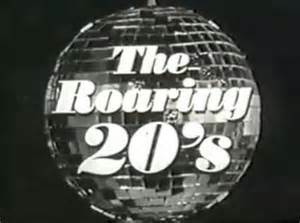 When then character was first introduced, I was instantly reminded of Queenie St. Clair. 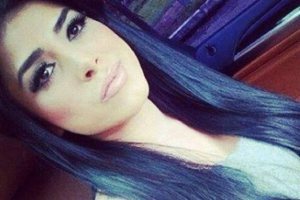 Claudia Ochoa Felix: The Cartel’s ‘Hit’-lady? Gangster Girls Documentary features Claudia Ochoa Felix. The glamorous “alleged” leader of assassins within the Sinaloa cartel. Claudia Ochoa Felix likes to wear designer clothes and post glamorous selfies on Twitter but according to local media she is very bit as deadly as her black widow namesake. The 27-year-old makes no secret of her luxurious lifestyle. She sports low-cut designer dresses and bright lipstick in the many photos she posts on her social media sites. The only thing that separates her from being like any other young woman is her trademark pink AK-47 assault rifle and her pet leopard. Her photos include pictures of her shopping in luxury boutiques and occasionally snaps of her children, sometimes lying with hundreds of banknotes surrounding them in the bath or on the bed. Felix is apparently now the leader of the “Los Antrax” hit squad that works for the Mexican Sinaloa cartel – which is one of the main sources of heroin in America. Stephanie St Clair aka Queenie aka Madame St Clair was a French immigrant who moved to New York City in 1912. She was born in 1886, originally in Martinique, an island in the Lesser Antilles of the Caribbean. St Clair was a tough and fearless lady of the streets and even by modern day standards considered a force to be reckoned with. In 1922 she invested $10k of her own money into a numbers bank in Harlem. Her numbers game was so profitable that the Jewish and Italian gangs wanted in on her hustle. She refused and battled not only other gangs but the local authorities. When the cops came knocking she took on the NYPD, testifying about kickbacks that she had paid to them in order to let her operate her illegal rackets. Her testimony resulted in the firing of more than a dozen New York police officers. Stay tuned for my exclusive story on Madame St Clair. I am absolutely fascinated by this woman and the power she held. 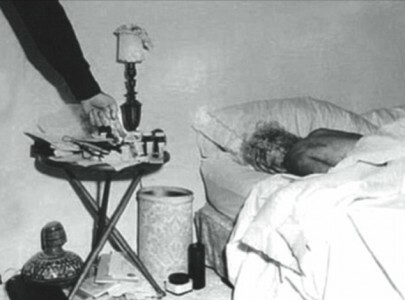 She was a true gangster and the time period of history in which she operated makes her a street legend. It’s difficult to imagine women like her existed 100 years ago when ladies most certainly did not dominate in a man’s world –especially within the underworld. 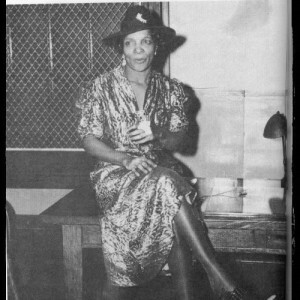 Stephanie St Clair was a well protected and well respected BOSS. She single-handedly changed the game and she did it all with numbers. When I think of Madame St Clair’s bold, striking femininity the Marilyn Monroe quote comes to mind…..